One of Della Bella’s "Cinq Morts". 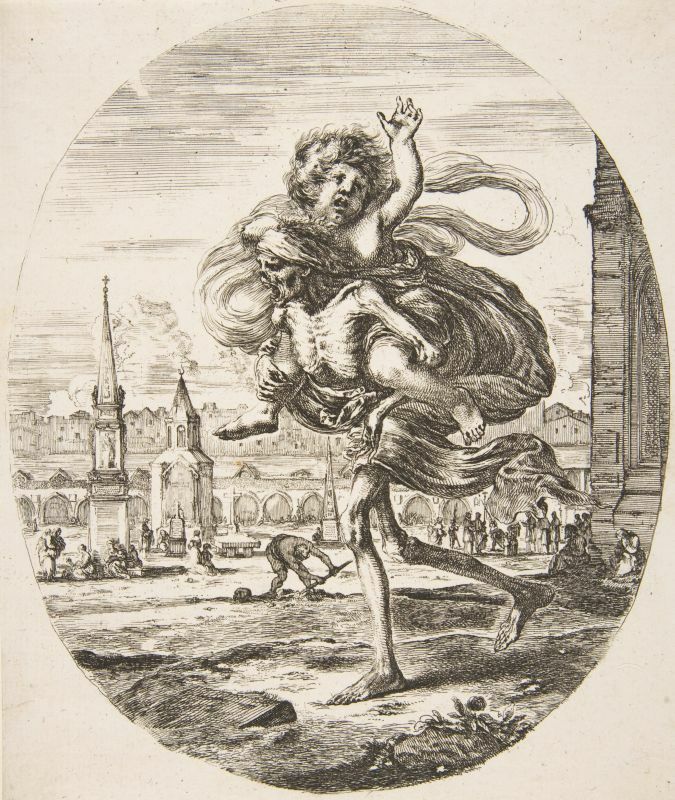 Death carries off a child. In the background St. Innocents' cemetery is seen.